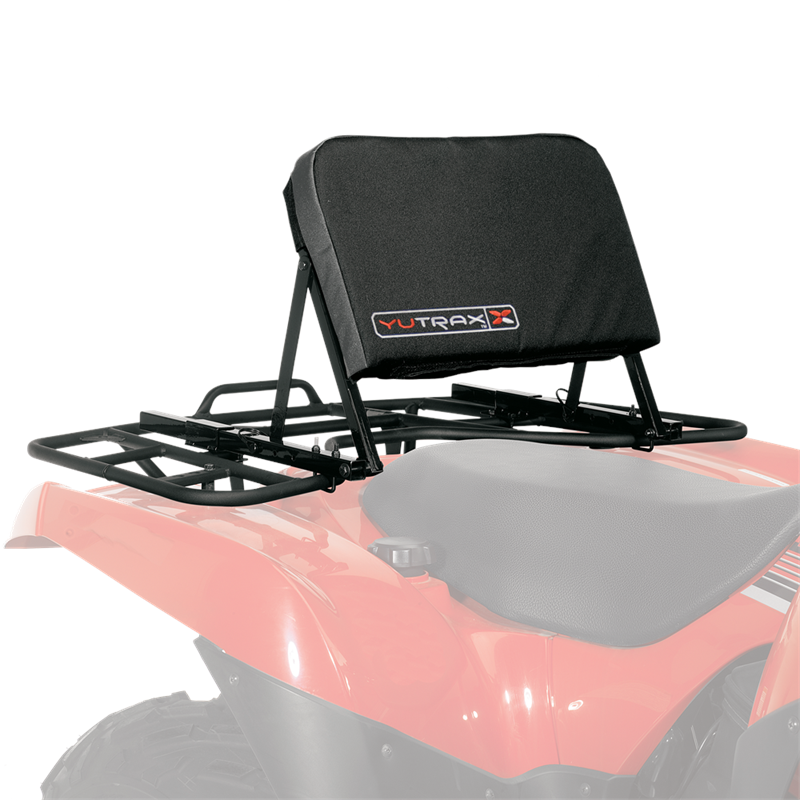 Give your back a break after those long, rough trail rides with this comfortable ATV seat back. Sturdy square-tubular steel frame supports the soft, foam backrest. 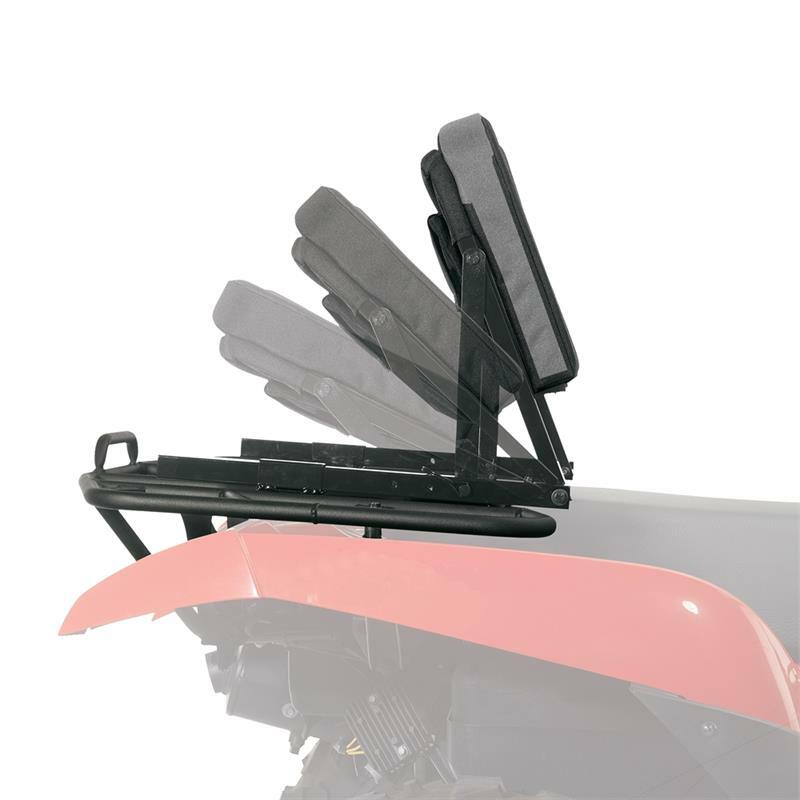 The thick 2" cushion is covered with durable, heavy-duty polyester that resists wear and tear from brush, branches and general use. 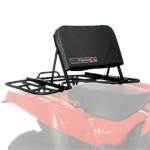 Backrest folds flat for safe trail riding. Unit attaches quickly to your cargo rack with the included hardware. 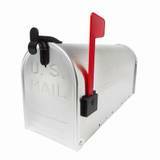 Fits metal or composite racks.